Last September 17, 2014, the Department of Labor and Employment and SFI Group of Companies have forged a very significant partnership in supporting the government’s thrust in creating relevant and current Labor Market Information (LMI). SFI Group together with international partners HireLabs and Success Partners have provided “assessment grants” to DOLE in helping profile the workforce of the Philippines. 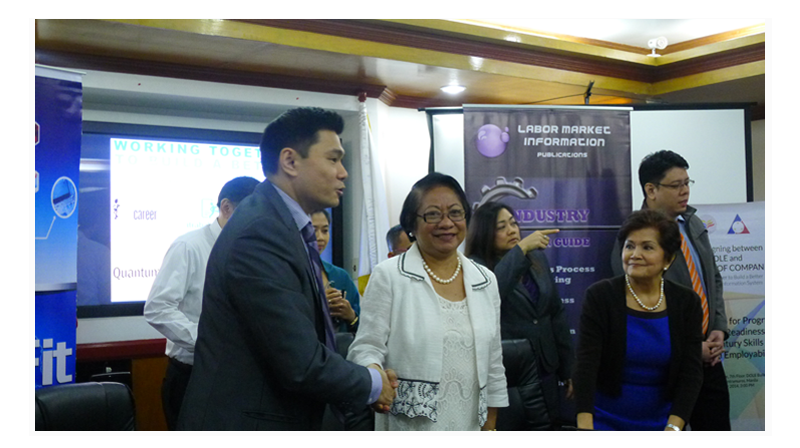 Present in the signing of MOU were Mrs. Estrellita A. Anastacio – Chairman of the Board and CEO, Mr. Luis Alberto Anastacio –Company President, Mr. Domingo Navera Jr. – VP for Operations, Mrs. Imelda N. Liwag – HRAD Manager and its delegation, Mr. Andres T. Suarez – General Manager of Business Trends, Ms. Gina A. Jusay – Business Unit Head of SFI Career Center and Mr. Richard Monteverde – Senior Career Coach.